Sound of Montréal is a multi-traditional ensemble project with Montréal-based musicians. It was founded in close collaboration between Sandeep Bhagwati of matralab and Kiya Tabassian of Ensemble Constantinople. Continuing Constantinople’s tradition of inter-traditional collaboration with a wide variety of other music forms, this project, in parallel with Berlin-based Ensemble Extrakte, explores the musical, aethetic and sociopolitical aspects of musicking in a global city. 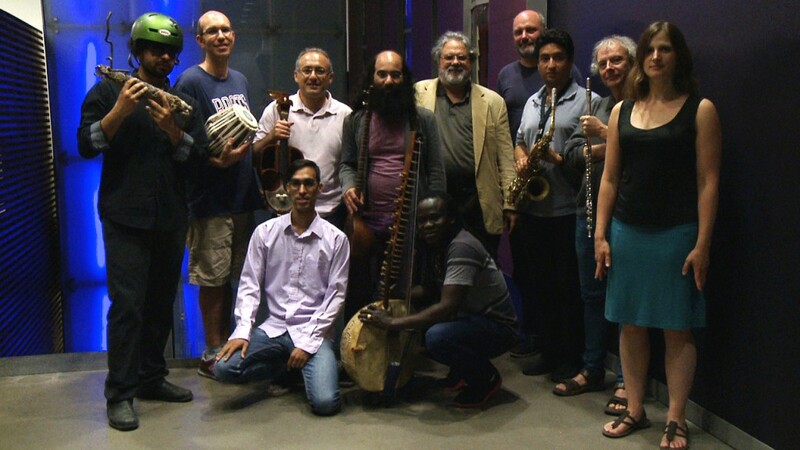 The musicians in Sound of Montréal come from Iranian, Rwandan, Turkish, and Indian traditions as well as from musique actuelle, contemporary art music and Jazz. Sound of Montréal began with a meeting at Concordia University on Sep 30, 2014 and works through rehearsal periods of 4-5 days spaced roughly every 3 months. In between, a team of researchers at matralab and Université de Montréal analyzes the results of these workshop phases. Sound of Montréal develops music both by individual and collective creation, and it only plays music developed during the workshops.